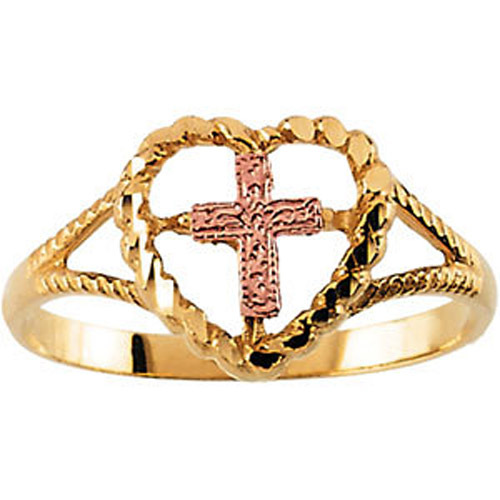 Desc: 14 karat yellow and rose gold cross and heart ring. The ring is fashioned from 14 karat yellow gold. The heart is at the apex of the ring with rope design. The cross is mounted in the center of the heart and is fashioned from rose gold and has a textured finish. The shoulders of the ring are open and have a rope design along the length. The ring has a bright polish finish.